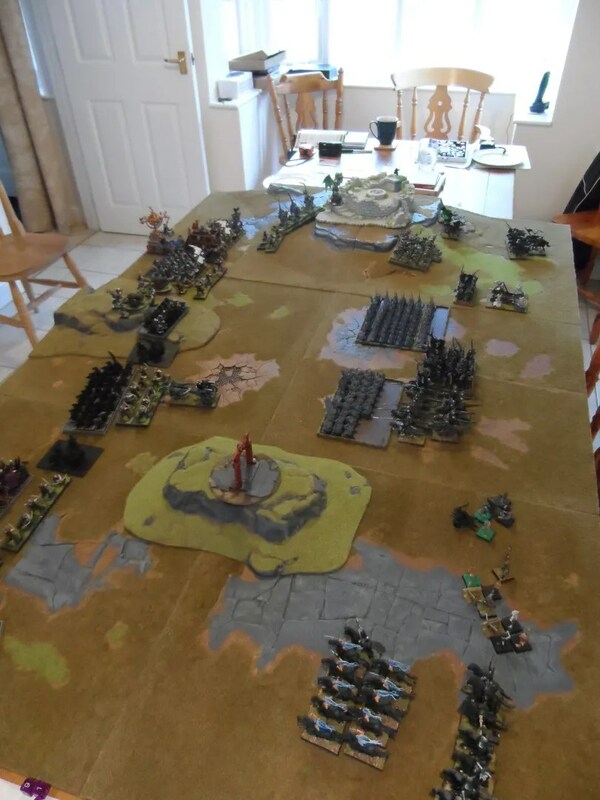 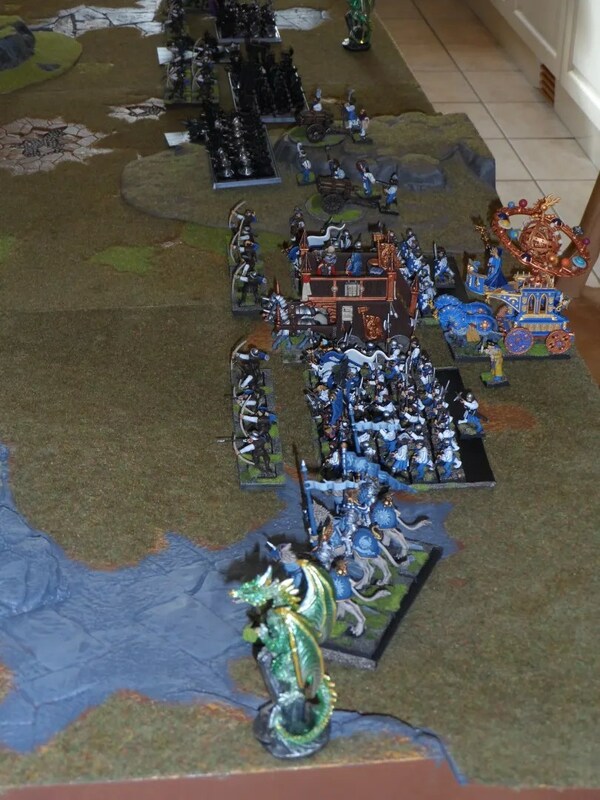 Dwarves & Empire, against dark Elves & Goblins. 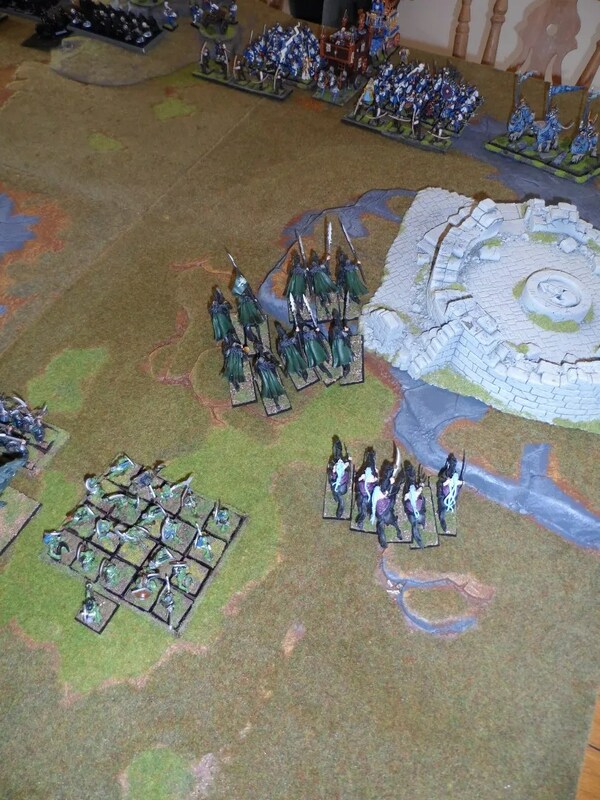 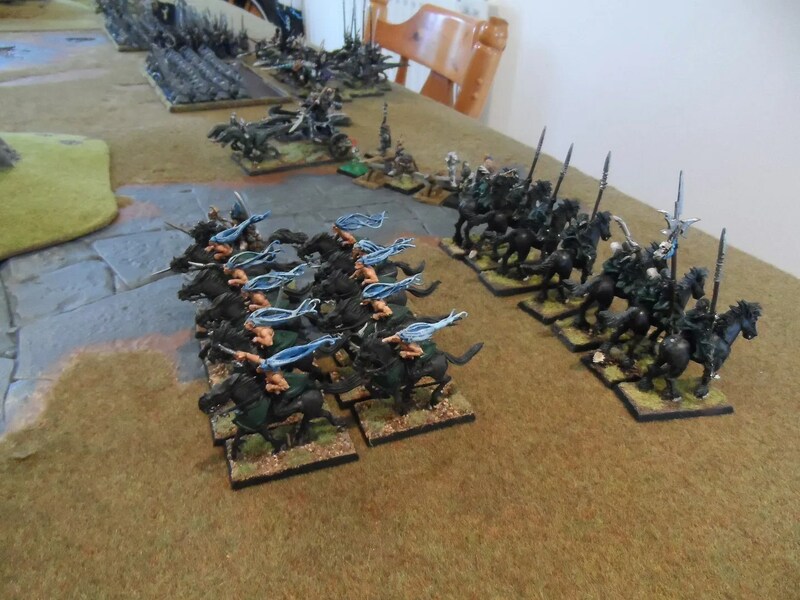 I had lots of Fast Cavalry for my Dark Elves, to offset the two hordes of goblins Gav brought. 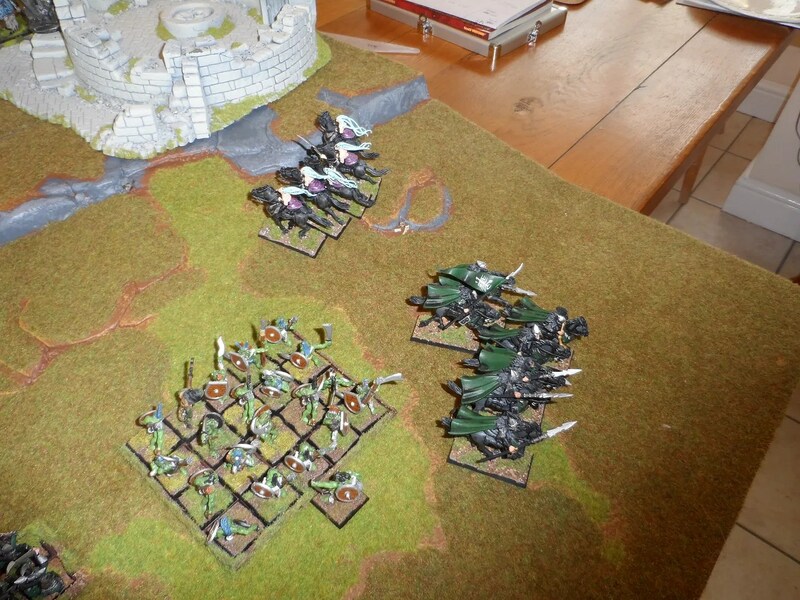 So my second unit of Warlocks got their next outing. 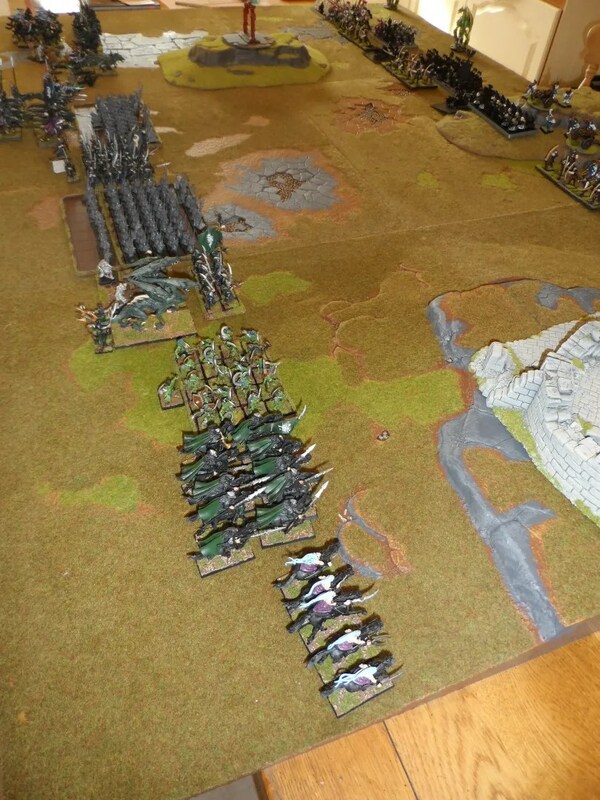 The Vanguard move saw me move 35 cavalry forward. 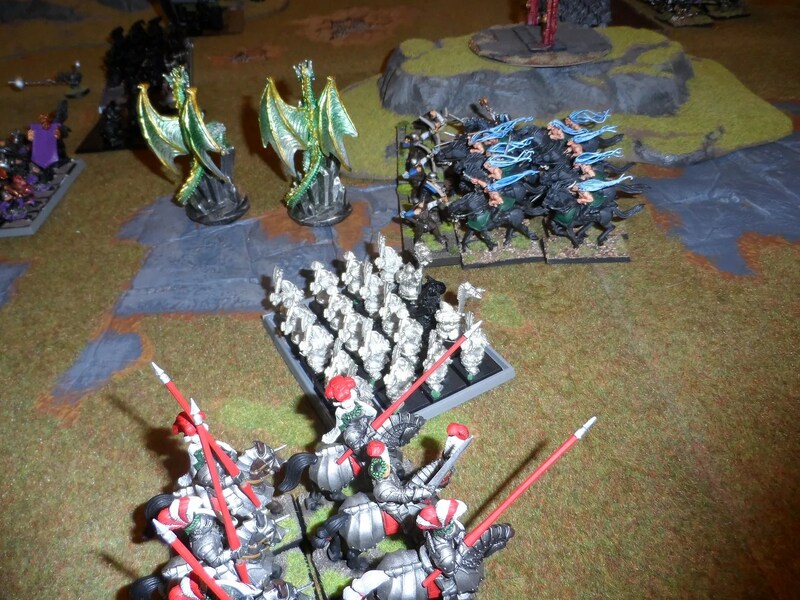 And I failed both leadership tests, so they were all running away in the first turn !!! 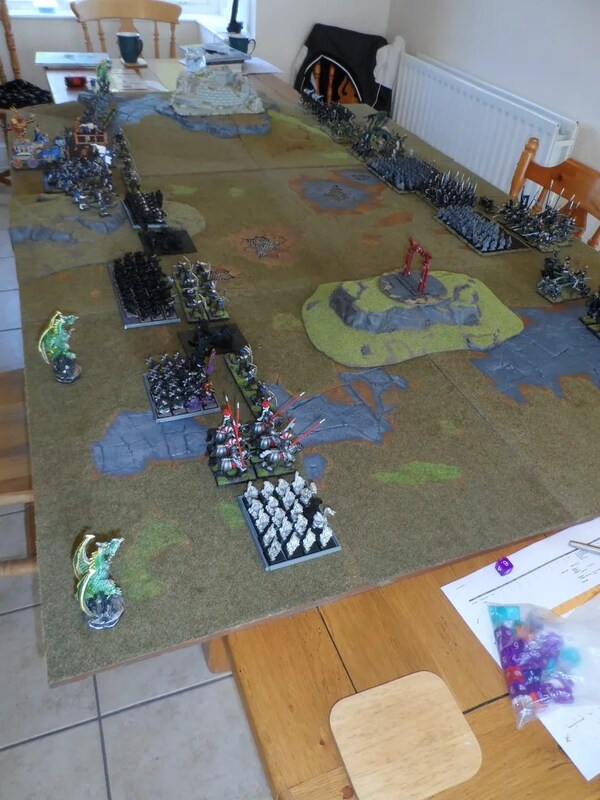 But at least the centre advanced. 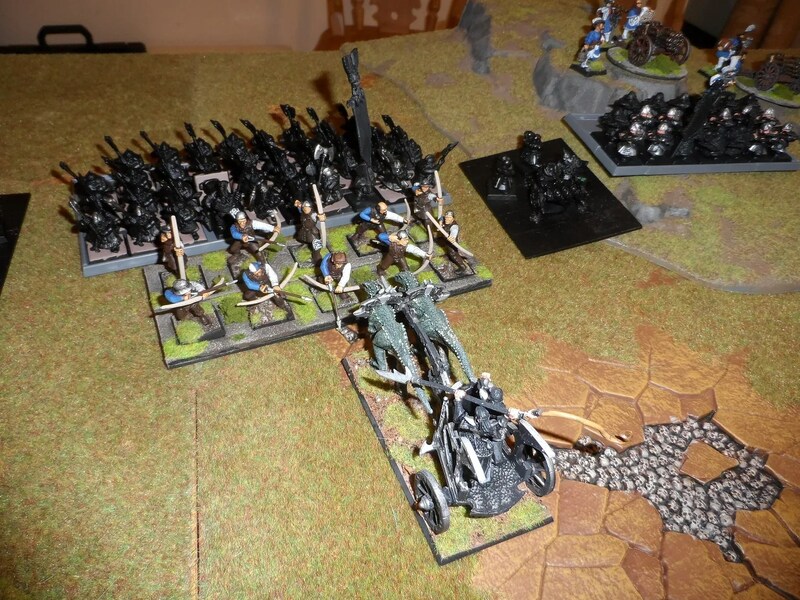 With a CoK Chariot being magically moved forward by the Gobbho Shamans ! 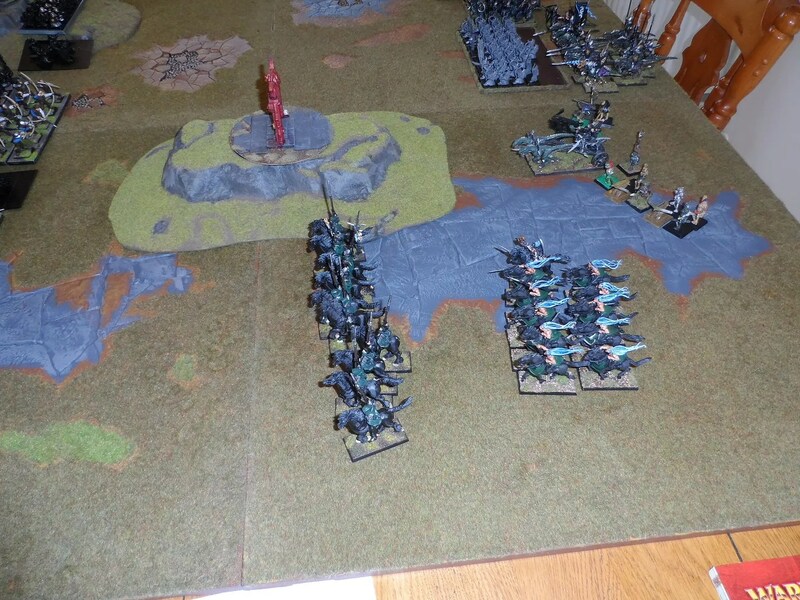 Plus a charge into the skirmishers with the Warlocks.